Saint Barthélemy (French: Saint-Barthélemy), officially the Territorial collectivity of Saint Barthélemy (French: Collectivité territoriale de Saint-Barthélemy), is an overseas collectivity of France. 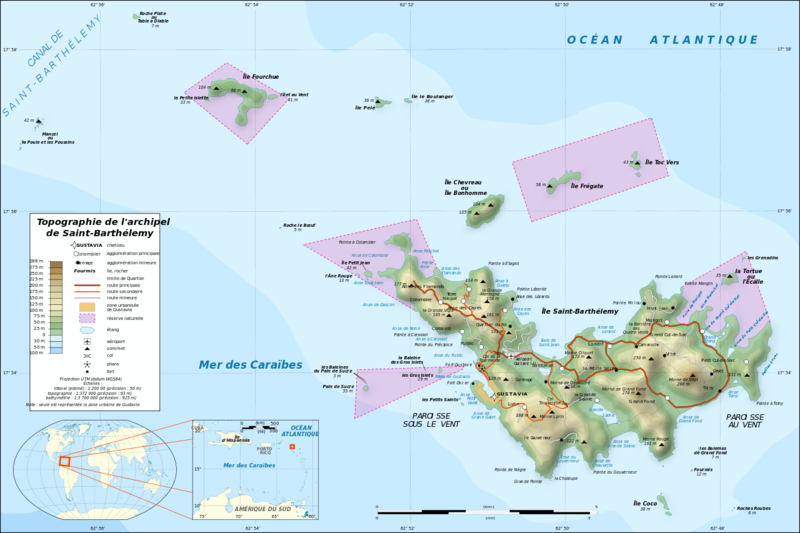 The St. Barts collectivity plus the other three – Saint Martin, Guadeloupe and Martinique – make up the four French West Indies territories among the Leeward Islands in the northeastern Caribbean. The population is spread among 40 quartiers, roughly corresponding to settlements. They are grouped into two paroisses (parishes).